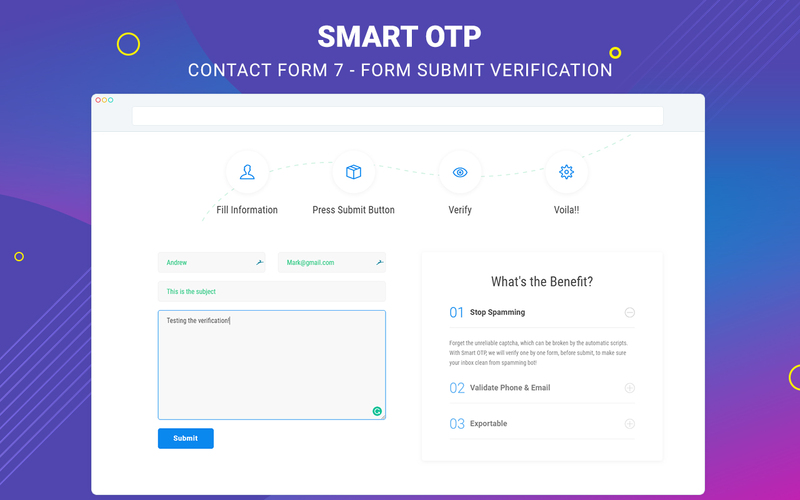 Smart OTP offers the solutions to verify email and phone number easily, free of charge. That means your lead data will be more accurate with email verification & phone validation methods. Send the OTP verification code to customer’s email. 100% inbox rate.. Send the OTP code to customer’s phone number, fast, all country supported..
You’re confused, right? In short, all the data you get on your website. Wrong data or untrusted information will cause false calls and the wrong person, even not exist! So, SMART OTP will send the verification code to the customer’s email – phone number. Through the solutions below, you will receive the more accurate customer’s info. 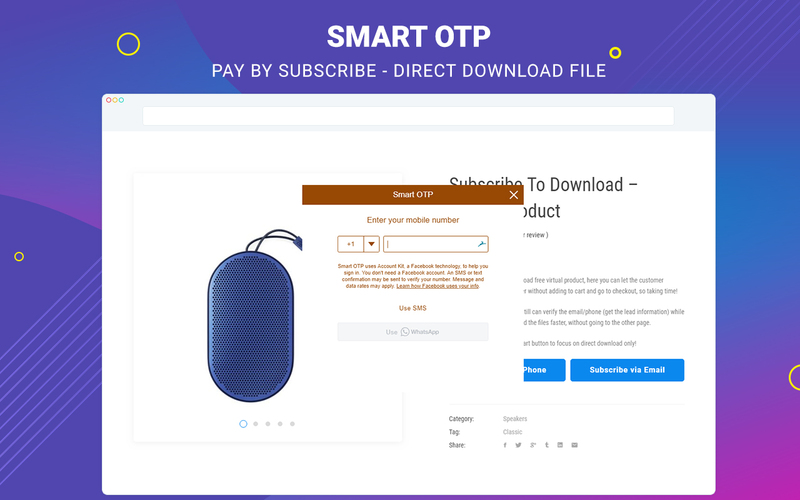 Our plugin integrated with WooCommerce – Digital product type, where you can have your customer download the free files directly, right away by subscribe to your service by phone or email. and we will verify it for you through SMART OTP. 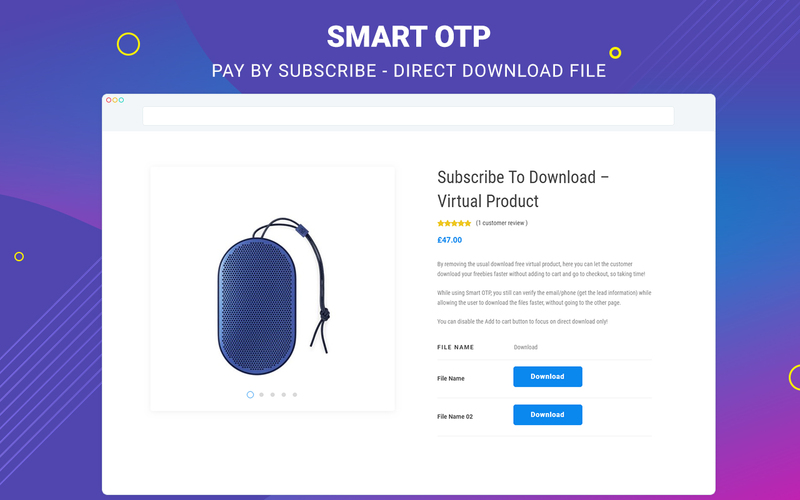 Instead of going step by step of normal checkout, after lead verified, the customer can download the free files directly on the product page. Your customer won’t need to go to other page, and you still capture the verified information, it’s email and phone number. Are you tired of receiving the fake orders from the competitors or ones who just make the order for fun? 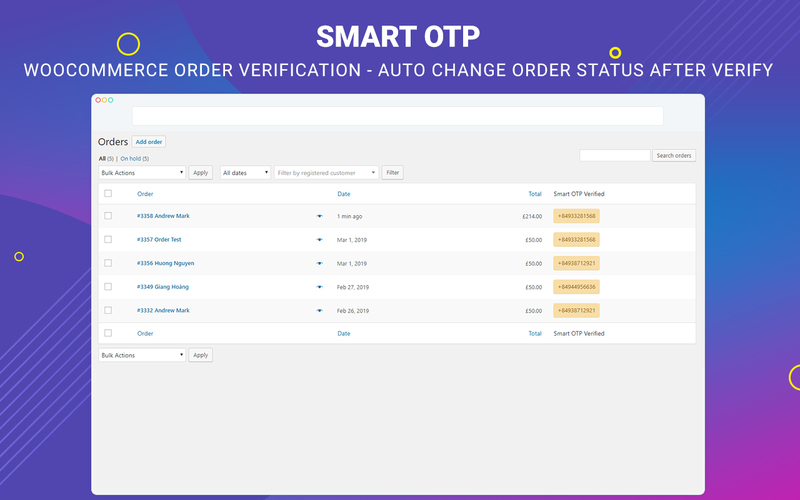 Smart OTP will verify the orders, one by one, and it will automatically change the order status to the status you want. I.e: change the order status from received to processing, automatically. This will help you verify every lead from the beginning, and forget about lead checking and stop wasting money in ineffective calls. 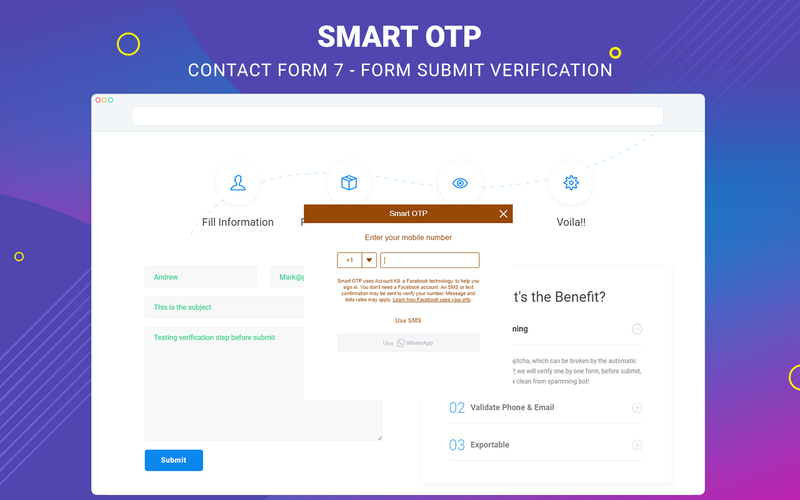 Smart OTP is integrated into Contact Form 7, the most famous contact form plugin, used worldwide. It will prevent the Spam bot, which the weakness of Contact Form 7. You will never receive the spam content from the bots! All the data is real and can lead to the sales order. Do you want to get a new sale lead? The plugin you’re using always have the mislead data? Not with Smart OTP. 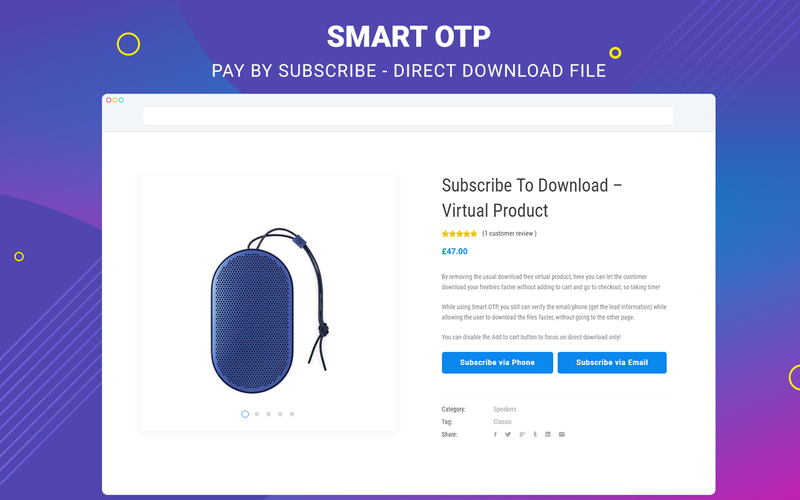 Smart OTP allow the user/customer to download the files easily using phone/email. The user will receive the OTP code through the phone/email. After the verification step, they can access the files and download them directly on your site. Forget about the long long long register form with a lot of steps. 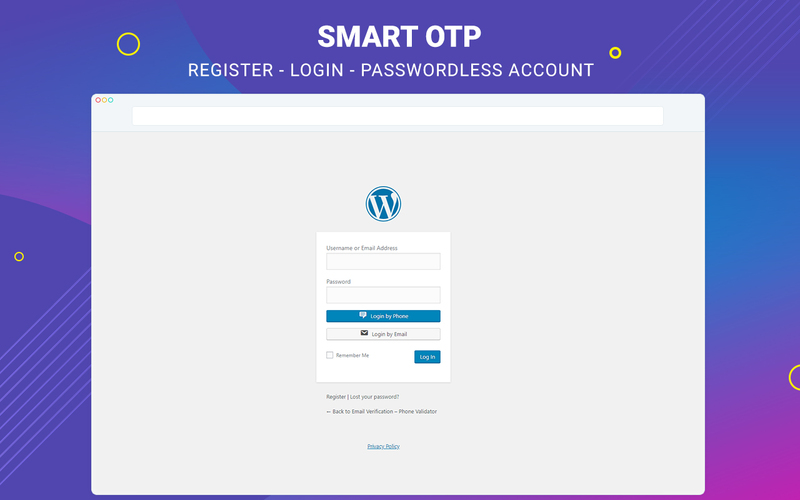 Now, Smart OTP provide the feature to let your user login/register so fast by providing phone number/email. Faster user accquire, higher conversion rate. This is the list of the user who used Smart OTP from the very beginning. Notice: This plugin is designed for WordPress, and it verifies the phone number or email before the process. So if you're having a long list of email/phone and verify it, this plugin won't work. Allow to embed the signup & register form as popup or link.. 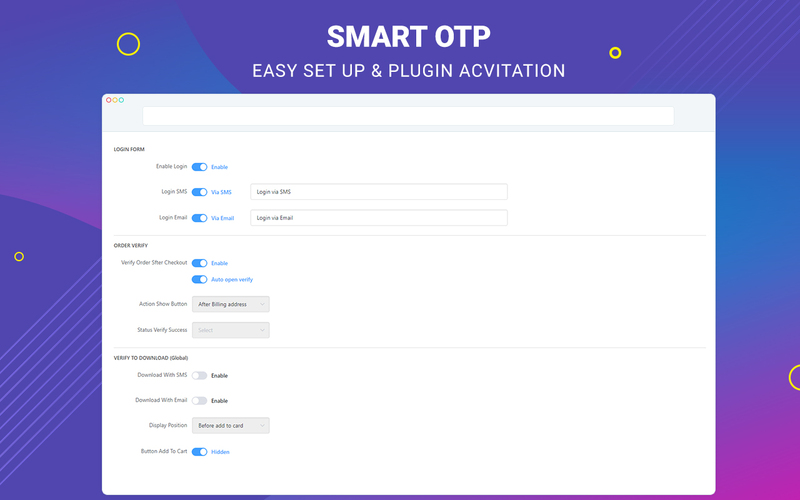 Integration with Ultimate Member plugin..